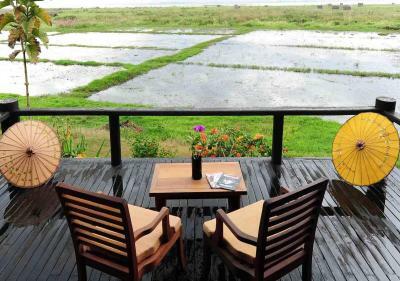 Lock in a great price for Villa Inle Boutique Resort – rated 9.1 by recent guests! 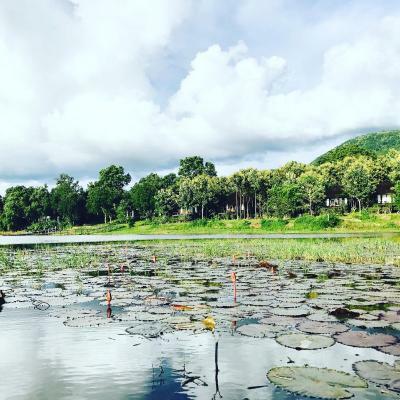 Stunning location on the lake surrounded by greenery. Friendly and attentive staff. 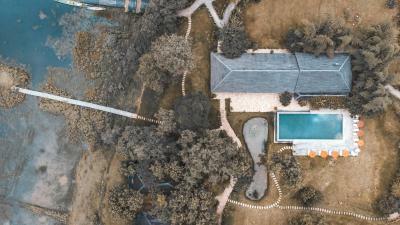 Spacious and comfortable villas (be sure to book a lake view, it’s spectacular). Complimentary mini bar (this helps when there’s nothing else around) Delicious breakfast spread. 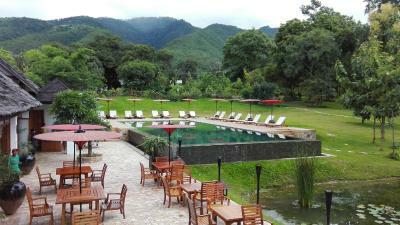 The location, the pool, the rooms and the service are very good & nice. 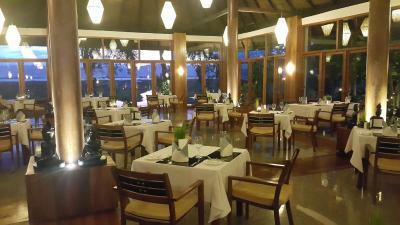 I even didn't see 1 insect in dining room, only this hotel sucessfully to do so after I stayed in 4 hotels. I can feel the warmth and careness from the hotel staff, they are so thoughtful. 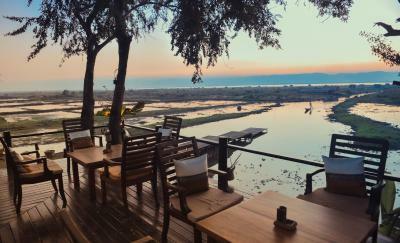 Villa Inle was amazing. 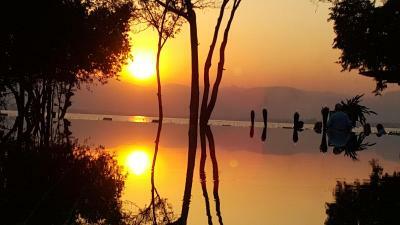 We booked a lakeside room and it was MASSIVE, beautifully appointed and very romantic. The room came with loads of stuff - including a free mini bar with alcohol etc. 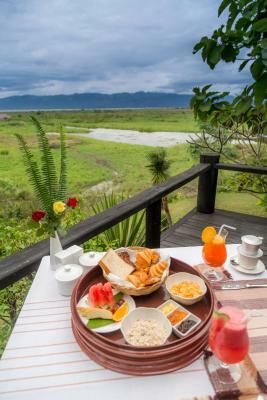 The breakfast in our room each morning was a lovely touch as well. This hotel may be a short distance from the town but the staff make it easy to get there and are very helpful when it comes to booking any activities/travel. 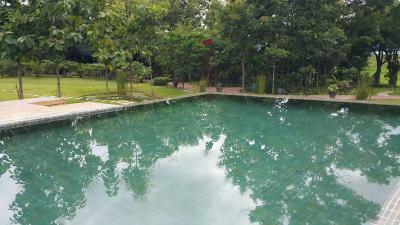 The gardens/pool are beautifully kept. 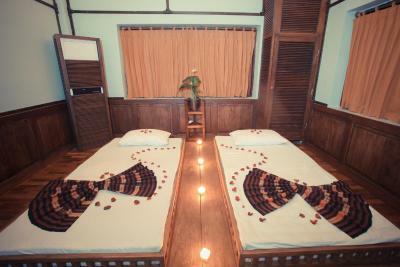 This hotel is seriously romantic and picturesque. A serene setting right on the lake. Old world kind of charm in a unique setting. 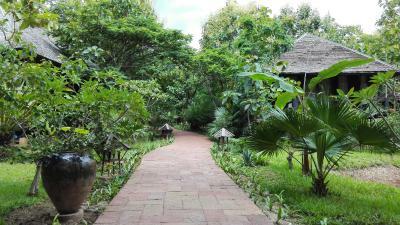 We liked the fact that is surrounded by plants, and that there are the floating vegetable gardens just around it. We normally don't like resorts because they ruin the environment, this is definitively respectuful of it. 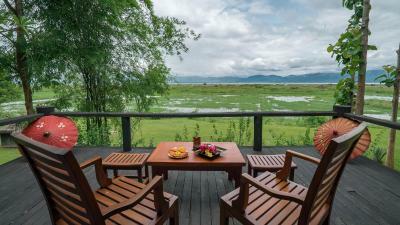 Villa Inle Boutique Resort This rating is a reflection of how the property compares to the industry standard when it comes to price, facilities and services available. It's based on a self-evaluation by the property. Use this rating to help choose your stay! 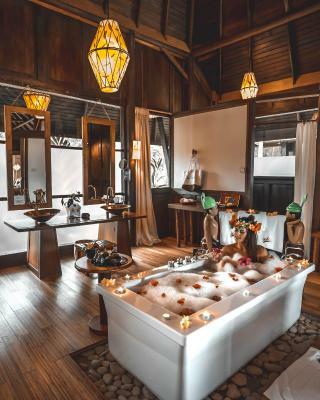 Featuring wooden Myanmar-style villas overlooking the lake, Villa Inle Resort & Spa is located in the eastern fringe of Inle Lake near the village of Maing Tauk. 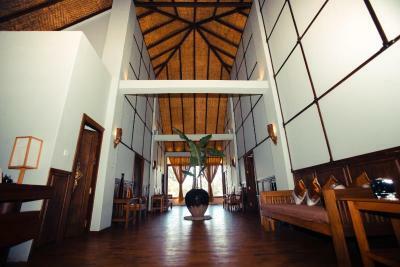 It houses a restaurant and a bar and offers free Wi-Fi throughout the resort. On-site parking is provided. 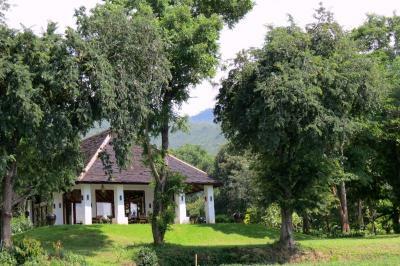 Red Mountain Vine Yard is a 55-minute bike ride from Villa Inle Resort. Heho Airport can be reached within 1.5 hours both by car and by boat. 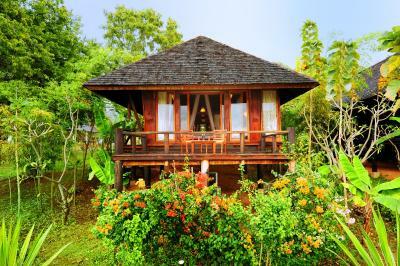 The individual villas at this eco-friedly resort feature floor-to-ceiling windows, high wooden ceilings and spacious living areas. 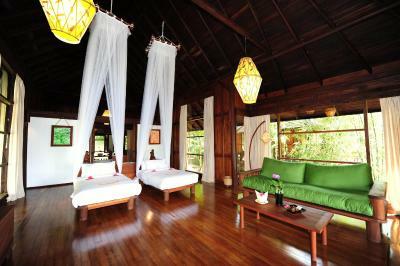 They are equipped with air conditioning, a flat-screen satellite TV and a refrigerator. Private bathrooms come with free toiletries and a bathtub. 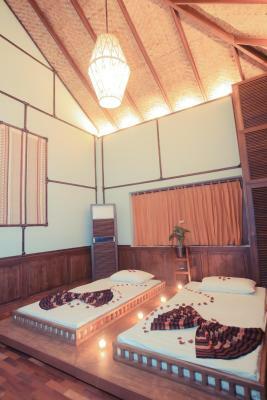 The Resort offers an excellent variety of recreational facilities including massage treatments at the spa, fishing and cycling. 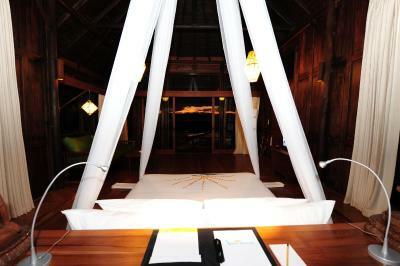 For convenience, the property is equipped with a 24-hour front desk, a tour desk and a business center. 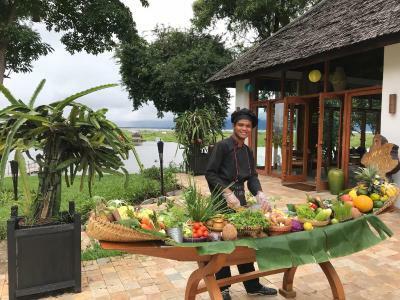 Villa Inle offers Italian and traditional Myanmar cuisines as well as Shan and Inle favorites prepared with fresh ingredients from resort's organic farm. A variety of beverages can be enjoyed at the bar. 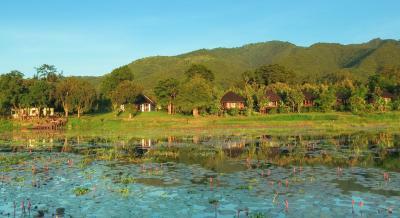 When would you like to stay at Villa Inle Boutique Resort? 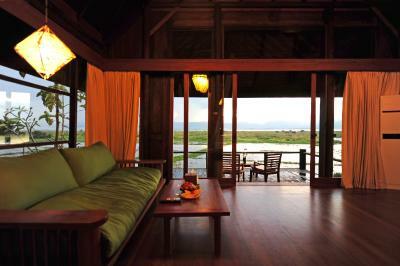 Features panoramic view of Inle Lake from every corner of the villa. Includes a seating area with sofa and a safety deposit box. 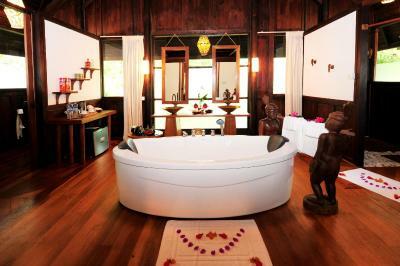 Private bathroom comes with a bathtub and shower facilities. A hairdryer and slippers are provided. 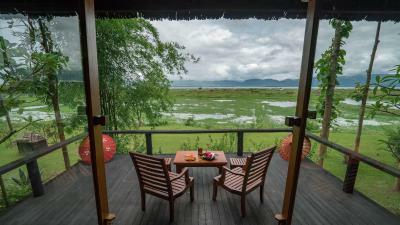 Spacious air-conditioned villa features a private balcony with partial views of Inle Lake. Includes a seating area with sofa and a safety deposit box. 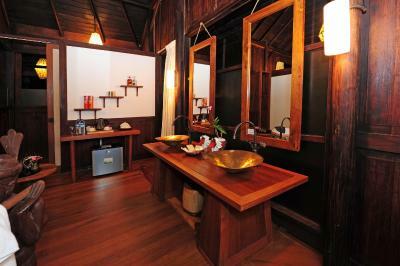 Private bathroom comes with a bathtub and shower facilities. A hairdryer and slippers are provided. 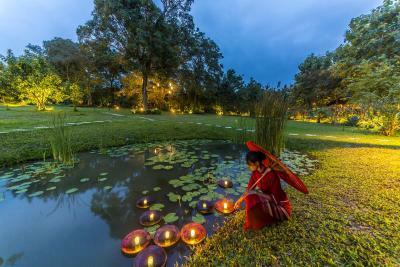 House Rules Villa Inle Boutique Resort takes special requests – add in the next step! 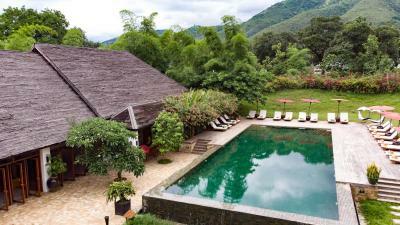 Villa Inle Boutique Resort accepts these cards and reserves the right to temporarily hold an amount prior to arrival. BUT everything is charged extra and massively overpriced. It seems, as if they constantly try to fool their customers. In the end we felt ripped off. First of all they let you pay your stay at arrival and they use their own exchange rate in kyat, so that in the end we payed 7% more than the price from booking. They mark all the prices in usd and in the end they make a very suspicous conversion. For a bike rental they charge you 10 usd for a day (in other places we payed 6 usd for a motorbike the whole day). The bike is in very bad condition, it is a kids size and the breaks don‘t work. If you need a taxi from the hotel to the main town they charge you 20 usd for one way. If you walk about 500m outside the hotel, you can get a taxi for 10 usd. For airport transfer they charge about 60 usd, we got a normal taxi for about 26 usd. The food is medicore and to expensive for what you get. It‘s so sad we had to leave this beautiful place with such a bad feeling of beeing scamed. The lake view room is still a little far away from the lake. 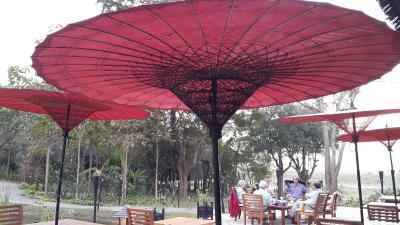 The pay off for being in such stunning surroundings is that you aren’t able to walk into into town to sample other restaurants easily. 1. The food and beverage is overpriced for the quality and quantity. 3$ for an office machine coffee! 2. There was no proper wel ome when we arrived at the property. We had to carry our luggage to reception. 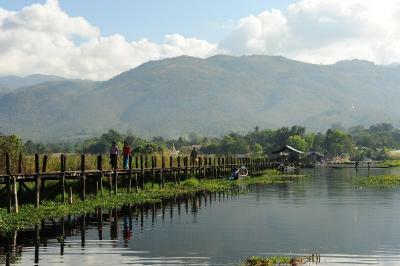 Great Inle Lake view from the hotel room! The meal in the restaurant was much more expensive than outside food - would recommend getting a taxi into town and eating there! The food at the restaurant is very poor and there are no restaurants around the hotel. The hotel lacks a terrace and a chill out area. 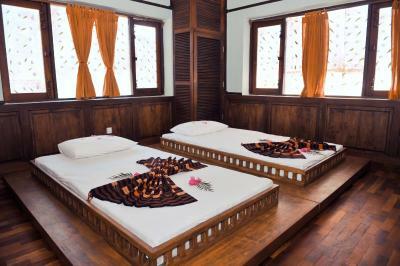 In general, the facilities of the hotel are not at the same level that the villas. 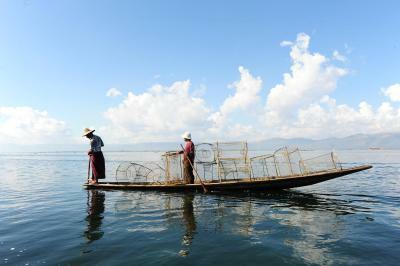 The resort is located in a exclusive area of Inle Lake, best accessed by boat. Our villa had an amazing view of the lake. 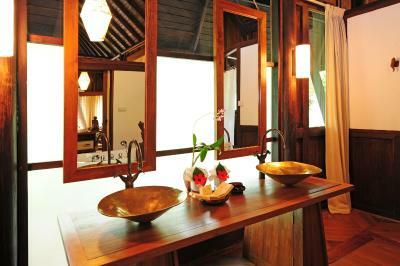 Inside the villa, everything was designed beautifully and environmentally friendly. 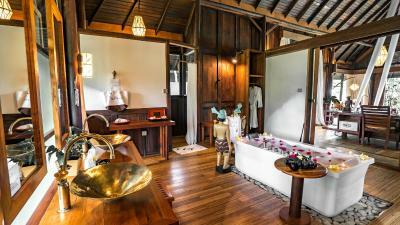 I especially liked the shower room, the bed with the pretty mosquito net. And the balcony, where I spent the whole morning to have breakfast and enjoy the view. 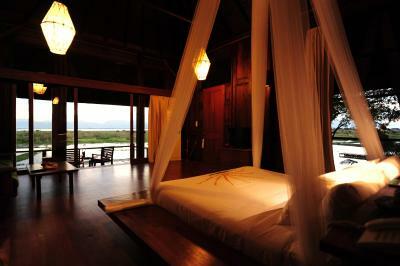 The surrounding was very quiet to give you a good sleep at night. 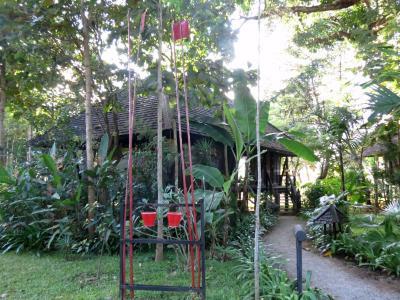 The resort provided a fantastic turn down service with mosquito spraying (extremely essential), arranging the bed and sleeping net, as well as some ginger tea. 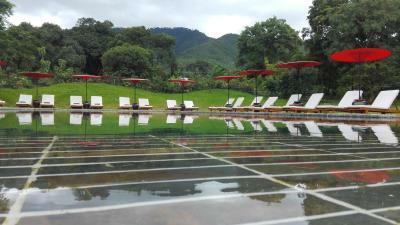 The pool was lovely too, good for both swimmers and non-swimmers to enjoy oneself. 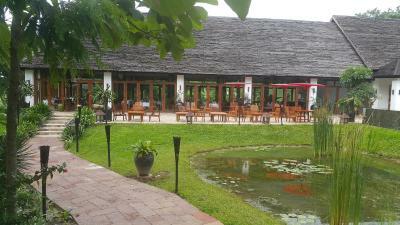 The food was delicious and reasonably priced for a resort. We had both lunch and dinner here and didn't regret one bit. 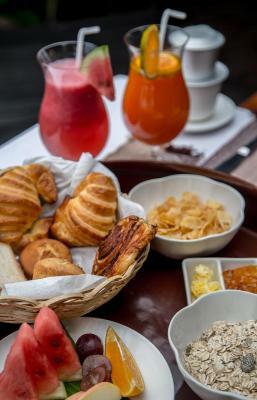 For breakfast (which was inclusive in the room rate), we had it served in room and the spread was great. The staff was another plus point. Polite, professional but warm and welcome. We can't ask for more from a stay by a lake. 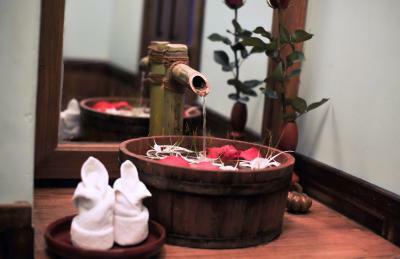 Our only recommendation--and we mentioned this at reception--was that the spa should provide yoga mats. We were trapped for a couple days and all I wanted to do was some yoga in our villa but the hard wooden floors weren't conducive to that. 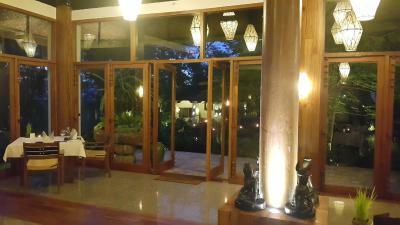 Really beautiful hotel in a lovely setting with outstanding staff. It rained torrentially for the 3 days we were in Inle (it was raining all over SE Asia and seemingly everywhere in the world, so this is not an Inle thing) so we were basically trapped in the room/hotel but it was actually quite enjoyable. 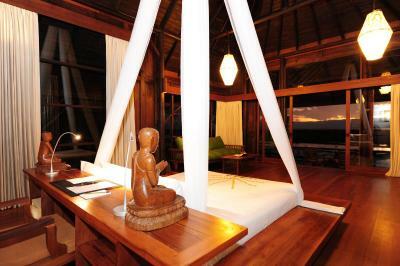 Wonderful staff, good food and really beautiful villas. We will definitely return another time hoping for better weather.